Nature has always been a source of inspiration for the design of the human environment, but in recent years this relationship has grown even more intense. “Nature as model” has influenced the most diverse possible concepts and developmental processes and is revealed in a large spectrum of forms and functions. 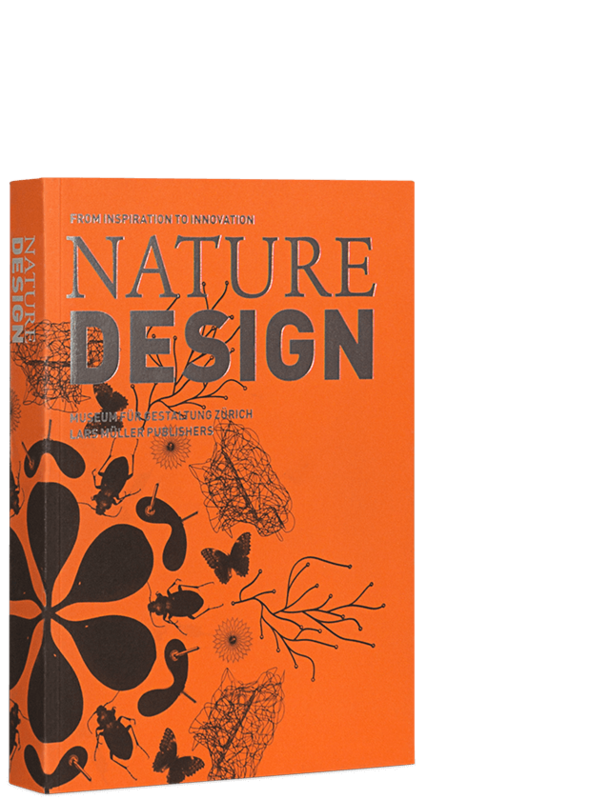 Nature Design brings together projects and objects from design, architecture, landscape architecture, photography, and art that have been inspired by nature to develop complex and innovative works. The protagonists include Werner Aisslinger, Ronan and Erwan Bouroullec, Peter Eisenman, Zaha Hadid, Herzog & de Meuron, Ross Lovegrove, Olaf Nicolai, Francois Roche, Lars Spuybroek, and Günther Vogt, among others. The book covers the historical and theoretical fundamentals of the themes sea, topography, plants, human beings, animals, scent, and climate. Nature Design is intended to reveal the diversity of possibilities for copying and reinventing nature and to open up new perspectives.